Hypnosis is a state of altered awareness during which our subconscious mind is more open and receptive to suggestions that are given. We drift in and out of different levels of awareness many times a day, absorbing information on a subliminal level as well as a conscious one. We will work with your imagination to help you to achieve your goals. Every person is unique and different. Some people say that their body feels like a lead weight, others say they feel as though they’re floating away. Most people will agree that it’s a lovely feeling because they are more relaxed than they have ever been before. Q. When I am ‘in hypnosis’, will I be asleep? You will be aware of everything that is happening and being said the whole time, however, you will be so deeply relaxed that you may find yourself drifting into different levels of awareness. Remember, your subconscious mind is active throughout and it is this that your therapist is working with. Q. Will I remember everything afterward? That depends how deep in hypnosis you are, but generally, most people remember either everything or certain parts of the experience. You will find that suggestions which have been given to you in hypnosis will resurface in your conscious, thinking mind after your hypnosis session and these will be the thoughts that produce changes in your behaviour or way of thinking and feeling. Psychoanalysis gives a complete explanation of a complicated behaviour pattern. It deals with the material of the unconscious mind, which, through special, time consuming techniques, is brought into the patient’s consciousness so that they can deal with it. Hypno-analysis reveals the cause of a patient’s reaction to a given set of circumstances. It deals with awareness below the level of consciousness. Hypno-analysis is a speedier method of therapy. It is the difference between a broad plateau and a pin point. A complete psychoanalysis takes time, years in some cases. Hypno-analysis can take hours or less. If you find the idea of revisiting old memories painful then we can help you to dissociate from them so that you can remember the experience without experiencing the emotions associated to them. Q. Will I give away any secrets while I am hypnotized? No, you won’t say or do anything at all that you don’t want to. If you were given suggestions that you didn’t morally agree with you would come out of hypnosis or disregard the suggestions. No-one has ever remained in hypnosis indefinitely. Even if something were to happen to the hypnotherapist halfway through the session, you would still ‘come out’ of the trance state once rapport with the hypnotist had been broken. The only side effects are the beneficial ones of feeling more relaxed afterwards and feeling more positive about whatever it was you sought hypnotherapy for. Hypnosis is a perfectly safe and natural state. Anyone can resist hypnosis during a session and it won’t work, however the question remains as to why someone would seek hypnotherapy if they didn’t want it to help them. Hypnosis requires cooperation so that we can show you the way and you can choose if you want to go there or not. If you are not prepared to accept, that hypnosis could benefit you, then your best option would be to seek alternative treatment – (however – in my own experience – skeptics are very often the best subjects). There is documented evidence however that some unscrupulous people can covertly hypnotize others into doing something they wouldn’t normal dream of. They are not using hypnosis to help someone (they are only interested in helping themselves). Because they are using covert hypnosis, they are extremely unlikely to be advertising their services as a qualified Hypnotherapist. Q. I went to a hypnotherapist once before and it didn’t work. Does this mean I’m not able to be hypnotized? To overcome this problem, we discuss your intake form in detail prior to establishing a plan of hypnosis to address your issues. Ask any questions, at any time, as an informed client is a successful client. You can – if they are related issues, however, because hypnosis requires a complete focus of attention it is far better to concentrate on one problem at a time. People wishing to stop smoking (for example) who are afraid of doing so in case they gain weight can be helped with the correct approach. This is because many of us experience ‘symptom substitution’ – we can substitute one addiction for another. We have the skills and experience to recognize if this is the case, and deal with the issue at its core. We offer hypnosis services in various packages designed to provide flexibility, affordability and effective results. Hypnosis is a proven method of helping people overcome by irrational fears or phobias. Phobias often develop from a traumatic experience or through conditioning, by a parent or other individual, during the formative years. As they are psychological in nature, they can usually be addressed through Hypnosis. Researchers believe that these fears may not only be due to learned behaviours from our parents, but may also be passed down in our parents’ genetics through the varying amounts of chemical transmitters that form in our brains. Hypnotherapy is a natural way to help ease these fears, especially those that apply in the workplace. For example, customer service requires control and patience to deal with unhappy customers or dissatisfied clients. If the employee avoids confrontation, or is afraid to make routine conference calls, they will be unable to function effectively. The instinctive reaction to fear is “fight or flight”. For most, this equates to avoidance, and results in ignoring client phone calls or avoiding co-worker interactions. The productivity of this worker can therefore seriously decline. 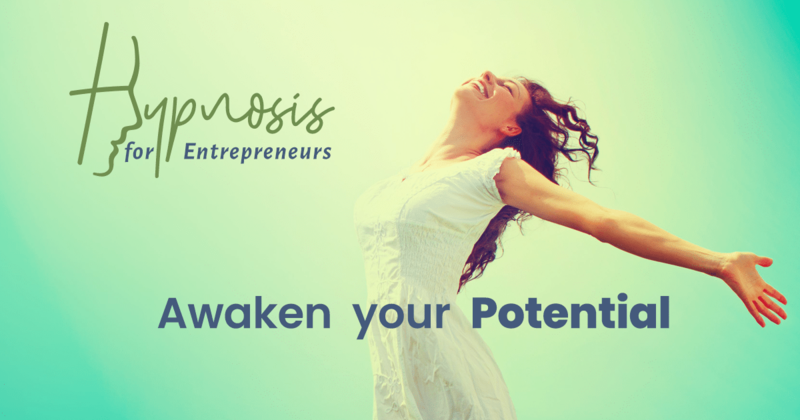 Hypnotherapy is a effective option to conquer those underlying fears which may limit workplace success. Many entrepreneurs are work alone at home and must be self monitoring and disciplined. If you are suffering from these workplace phobias or fears, it is extremely difficult to overcome on your own. The conscious mind accepts the message from the subconscious as truth … and until the subconscious beliefs are changed through hypnosis it will be almost impossible to effectively overcome these feelings. Fear of the telephone, for example, may relate to a parent chastising you as a young child for talking on the phone too long or calling someone you were not supposed to. That negative reaction can be stored forever in the subconscious mind and will resurface every time you pick up the phone to call someone. Reprogramming through hypnosis can alter the subconscious perception of that experience and remove the negative reaction. There is no need to continue to be pretend these behaviours do not exist. Don’t hide the fear as it will only cause increased stress and tension. Reprogram yourself now to forever be free from the impact these fears have on your life and business. Hypnotherapy can also easily provide relief from anxiety. Hypnosis is the most effective way to deal with work related stress and anxiety. At work we often are expected to juggle a multitude of tasks, clients and other requirements all day long. Self employed entrepreneurs have the added burden of having no one to delegate the tasks to on short notice. The constant time constraint and deadlines can often be overwhelming. Anxious and overburdened employees or entrepreneurs do not always hide their feelings well resulting in unhappy customers and clients or team members. Stress tends to build up over time and affects the physical functioning of the body and can lead to skin breakouts, brittle hair, weight loss and a poor appearance. Hypnosis can be used to overcome these feelings before they become major issues at the workplace or in your business. A relaxed, stress free employee or entrepreneur is more resilient and capable and the people they deal with will be much more satisfied. The audio recording below is provided as a free service to anyone who is feeling overwhelming grief, from the loss of a loved one. It was created at the request of a dear friend, who is a University Counselor, working with students who have recently lost a loved one and are having difficulty carrying on with their studies. Please leave feedback, if this recording helped you to overcome your grief and to move on.